Read more for products, pix, deets, etc. Coastal Scents 88 palette (matte)--eye shadows marked with "M"
In other news, I'm now on Instagr.am @MaryamNYC, so please find me & let's be friends!! 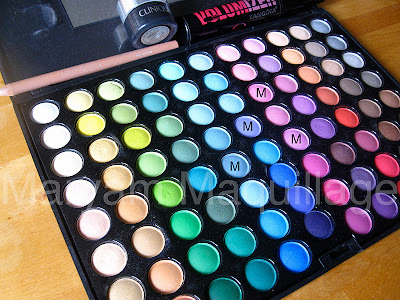 Beautiful and very original makeup idea :) it's a stunning combination of colours. Love it totally! And your lip colour is gorgeous. This so beautiful & perfect for Winter! 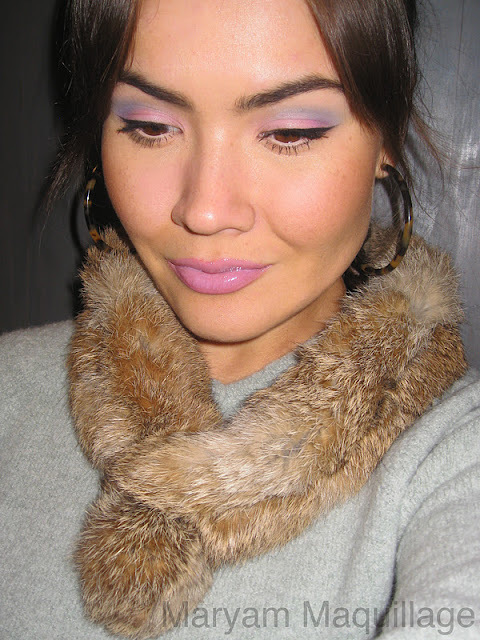 It's very refreshing to see these beautiful pastels in winter! Makes me wait for spring even more! I love the color combo on the lips! I've been wanting to get that gloss, it's so pretty. Your gonna love the Naked2, the colors are oh so gorgeous! Whenever i check, Sephora's website still has it. You are beautiful!!! I like your scarf!! that last picture is amazing love the jacket with the fur and the makeup just fab love it!!! Soo beautiful make up. Y have a talent! Hi, I just discovered your blog, and I'm glad I did! You're very talented, you have some very pretty looks in here! 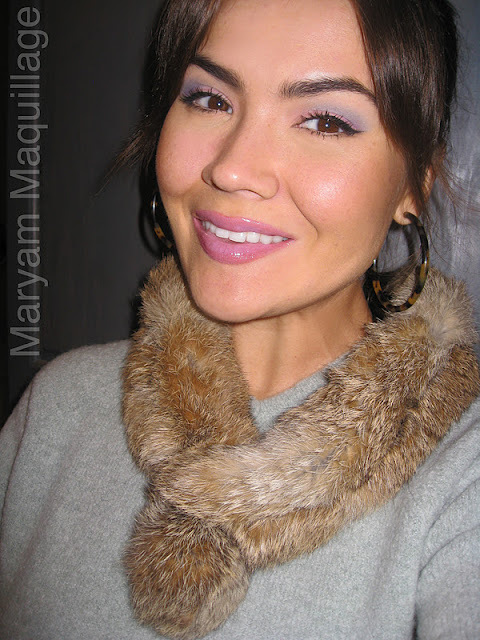 Now i know how to wear Lilac Pastelle,i've had that gloss for the longest and still have not worn it. Thanx! I love your little fur stole! 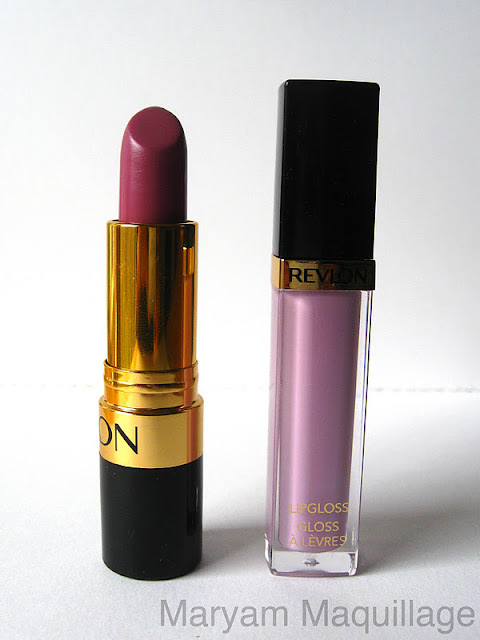 And I bought that Revlon lipgloss and haven't even used it once. But it looks so good on you that I'm now inspired to bust it out soon! Gorgeous! Your lips look just perfect. I love the last photograph, you look like a model! Vow.. really nice lip colors. I liked those shades very much. Thanks for sharing with all.